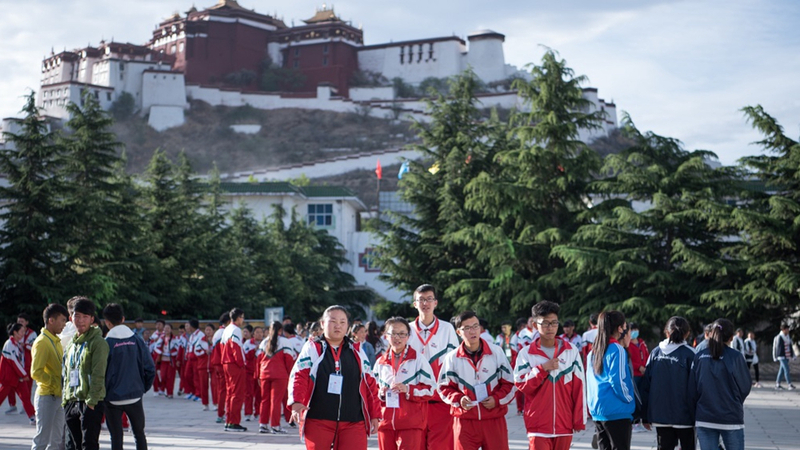 This year is the 60th anniversary of the “Resolution to implement democratic reforms in Tibet” adopted by the Preparatory Committee of the Tibet Autonomous Region. Six decades ago, the world’s highest plateau was a wild, unexplored area. Now, it has undergone a period of social, political, and economic liberalization. Let’s take a look at the changes that have taken place. If we take a look at some of the data, in 1959 the population of Tibet was just over one million while by the end of last year, that number had surged to nearly 3.5 million. And in 2018, the per capita disposable income of urban residents and rural residents in the region had hit over 33,000 yuan (4,917 U.S. dollars) and 11,000 yuan respectively. Compared to 60 years ago, that’s an increase of over 40 times. In 1959, there was only a small hydropower station with 125 kilowatts serving the whole of the Tibet region which means fewer than 100 people could receive power. In comparison, in 2018 about 62 districts and counties have been covered with a power grid, meaning well over 2.5 million people are now connected to the power supply. Until last year, households in four cities, Lhasa, Ngari, Nyingchi and Nagqu, along with nine counties had installed central heating. And 85 percent of users in administrative villages had access to broadband. In terms of education, Tibet is the first region in China to be offered nine years of free, compulsory education. In 1959, about 95 percentage of the population in Tibet was illiterate. Last year, there were over 530,000 college graduates in the region. Dramatic changes have also taken place in the field of medicine and health care. The number of medical and health institutions hit 1,500 in 2018, a 24 time increase on the number 60 years ago. About 17,000 hospital beds are now provided to local patients. Meanwhile, the newborn mortality rate has also been sharply reduced over the past six decades by over 40 times. Great changes have come to the Tibet Autonomous Region since it was founded. And the continued efforts of the Chinese government alongside local people mean residents in the plateau can expect even more advances in their living conditions in the foreseeable future.